With the universal adoption of the Sustainable Development Goals (SDGs) by the United Nations in 2015, organizations around the world are identifying opportunities to advance them to put society on a secure footing by 2030. While there are many opportunities to approach this as a philanthropic undertaking, it is also important – if not more important – to consider how the achievement, or under-achievement, of the SDGs will affect corporate strategy and future performance. Equally, achieving the SDGs may materially benefit industry sectors, while not addressing them may create industry risks. Contact Coro for a clickable version of the tool. Organizations are encouraged to embed the SDGs into Risk Management and Strategic Planning processes. Industry associations are encouraged to do the same in setting their strategic priorities. This UN SDG Risk Management Tool is a handy tool to help with that exercise. It compiles the 17 high-level SDGS and their 169 global targets, which the international community has identified as priorities, into a checklist for ease of use. The UN SDG Risk Management Tool focuses on the targets rather than the high-level goal statements. 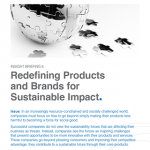 This helps company and industry executives consider how to operationalize the SDGs, identify the risks and opportunities, and address them through corporate or industry strategy. Significantly, the UN SDG Risk Management Tool does not treat the SDGs as a set of goals “to align with”, as a check-box exercise or as philanthropy. 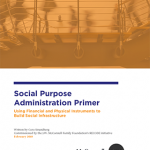 It treats them as a set of important insights for risk management and strategic planning. 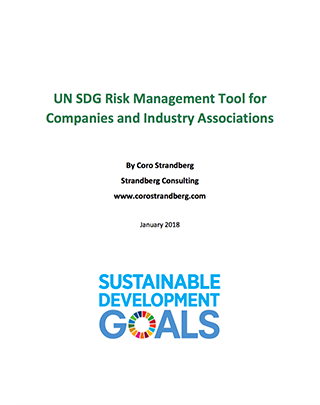 The UN SDG Risk Management Tool is designed for use by industry associations, boards, executives, risk and strategy teams, and sustainability professionals. It provides a set of instructions and suggests a process for engaging industry and company leadership.